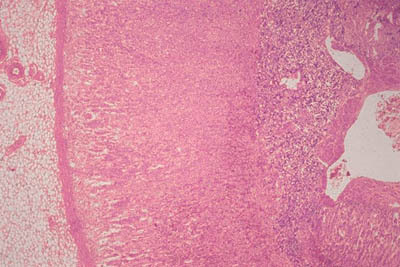 The outer connective tissue capsule is visible on this histology slide of the adrenal gland. There is a cortex and medulla. The three layers of the cortex are not sharply demarcated. On the periphery of this histology slide is adipose tissue.